2 ft. long and about 3 lbs! The World’s Largest Gummy Worm is 125 times larger than the average gummy worm and that much tastier. If you’re looking for a unique present for that person who has everything, this is it. 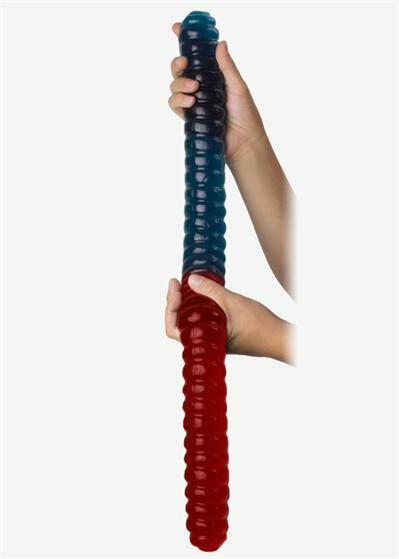 Giant gummy worms are a fun conversation starter and definitely a party must have. The giant gummy worm is 26 ½ inches long and weighs approximately 3 pounds. Made in USA.